Sometimes kindness is taken for weakness, but for twenty-year-old Tyla, it is a recurring theme. Tyla is known to everyone as a sweetheart. She is dependable, kind, and loyal to a fault. Because she sees the best in everyone, people in her life often take her for granted and write her off as naive and dumb. 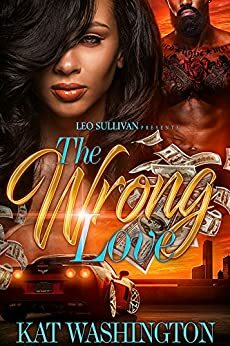 Tyla's real problem is that she tends to trust and love the wrong people. Her boyfriend, Chris, is the worst of them all. He takes advantage of her kindness and disrespects her in the worst ways. Tyla is patient with Chris, but how far will he go before she's had enough? Kenya is Tyla’s roommate and one of her best friends. The friendship is one-sided because Kenya only regards Tyla with disdain and envy. She resents the fascination that men seem to have with the ‘lame’ Tyla, and she takes pleasure in watching her supposed friend struggle in her relationship. Kenya lives life on her terms and is determined to have what she wants when she wants it, including Tyla’s boyfriend. Everything changes when Kenya finally meets someone who makes her want to settle down and be a one man woman. Too bad settling down with Kenya is the last thing on his mind. Fake friends, heartbreak, and betrayal abound as these college students look for love in all the wrong places. After going through so much of the wrong love, will anyone get it right? This was being done so wrong throughout the whole book and I thought things were going to look up for her but by the end it didn't. I enjoyed the book but it kind of dragged on, I would still read another book by this author though. I'm so glad they did it. I wish it could be a part 2 soon hint Kat! Can't wait to talk with somebody that needs a good book to read. Congratulations you got a winner. Great by Kat W. Tyla must be the most naive character ever written. Chris was a piece of ..... How could you claim to love someone but constantly taking advantage and breaking their heart. I curious about part 2 but dont know if we'll get the opportunity to read it. Ms. Washington isn't know for completing a series before beginning a next.